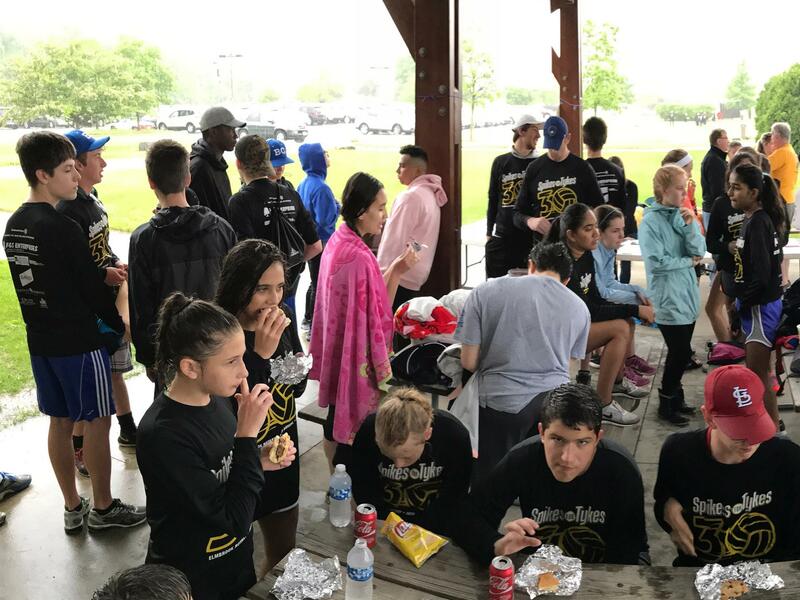 Boys and girls from area schools made up the majority of teams in addition to teams from area businesses and other Rotary Clubs. Volunteers spent the day setting up the volleyball courts, registering teams, handing out event t-shirts, cooking and serving food and beverages, and making sure everyone had fun while trying to stay warm. Fortunately, the Mitchell Park shelter provided a place to stay dry. 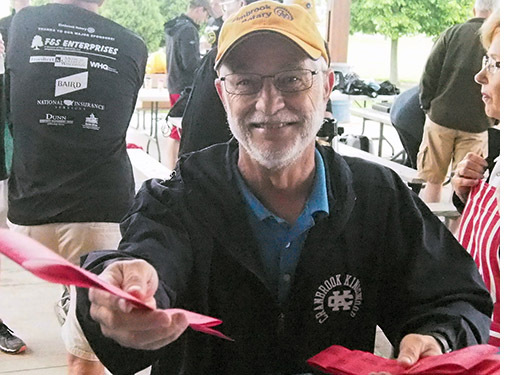 As most of you know, “Spikes for Tykes” is the Elmbrook Rotary’s major fundraiser of the year with amounts raised going towards a variety of worthy causes and organizations. Programs range from Rotary International’s effort to eradicate Polio worldwide and literacy programs in the Milwaukee area and Guatemala, to scholarships for local high school students and support for The Waukesha Women’s Center. According to event chairperson Mark Zalewski, the event has raised almost $46,000 and with additional contributions coming in after the event, we shouuld reach our goal of $50,000. For anyone still interested in donating, we are still collecting funds up until the end of June when our fiscal year ends. 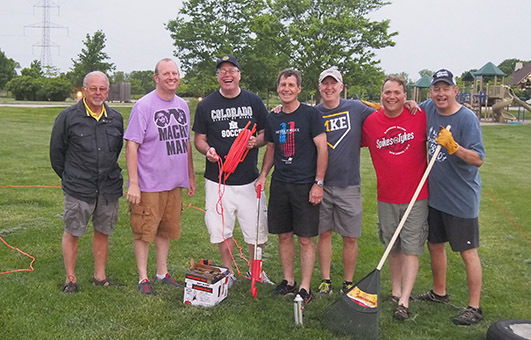 On behalf of Elmbrook Rotary, Mark wants to thanks everyone who sponsored a team, played volleyball, or volunteered at this year’s event and braved the elements. It turned out to be a very successful and fun day!